Ted Vrehas is the Vice President of Business Development at Graycor Industrial Constructors Inc., located in Portage, Indiana. Graycor Industrial Constructors is a leading provider of construction, maintenance and facilities services throughout the United States. Ted has been involved in industrial construction for nearly twenty five years and has been with Graycor Industrial Constructors for over nineteen years. He attended Purdue University in Lafayette, Indiana where he received his B.S. in Construction Engineering & Management. For most of his career at Graycor, Ted has been involved in project management, scheduling, and estimating. Recently, he has been promoted to the head of business development where he oversees organizational business strategies to ensure the development and growth of the company. Ted has worked on dozens of construction projects that have helped shape the landscape of the integrated steels market throughout the Midwest. Some notable projects that he has worked on include: The 2003 ArcelorMittal No. 7 Blast Furnace Reline, The 2007 Severstal "C" Blast Furnace Replacement Project, and the United States Steel No. 14 Blast Furnace Mini-Reline. Ted is a member of the Association of Iron & Steel Technology (AIST), and the Pirates, Inc. He is a board member on the Lake Central Youth Basketball and volunteers his time coaching baseball in the Dyer Little League. Ted is also the President of the Saint Demetrios Greek Orthodox Church Parish Council. When not involved with the above community organizations, Ted enjoys playing golf, running, biking and hiking. John B. Hasse currently presides as co-owner/vice president of Hasse Construction Co. Inc. located in Calumet City, Illinois. 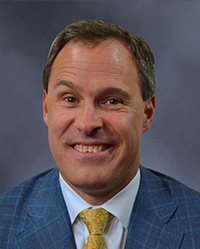 John graduated in1986 from Purdue University West Lafayette, Indiana with a Bachelor of Science degree in Civil Engineering. He is a registered Professional Engineer in the states of Indiana and Illinois. John has been with Hasse for over 25 years. He was previously employed with a civil engineering design company based in Itasca, Illinois. John performs a number of duties at Hasse with a primary focus of estimating and running large, complex projects, specializing in earthwork, utilities and concrete. 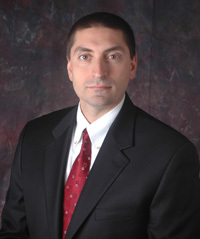 John has worked on numerous projects in Northwest Indiana and Chicago area. Many of the projects he has been responsible for have won awards. John was elected young engineer of the year by the Society of Professional Engineers, served as president of the local chapter of Habitat for Humanity and serves on a number of current boards. T. John Wysockey is the Executive Vice President and Co-Owner of Thatcher Foundations Inc. which is located in Gary, Indiana. Thatcher’s expertise is engineered geo-structural solutions – deep foundations, earth retention systems, and marine construction. Since 1946, Thatcher has successfully installed almost 6000 projects in Chicago, Northwest Indiana, and the Midwest. John received a B.S. in Civil Engineering from Purdue University in West Lafayette, Indiana in 1985, and an MBA from the University of Southern California in 1991. 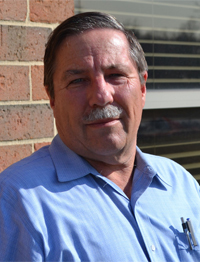 John oversees Thatcher’s estimating, business development, and finance. Some notable projects include: BP Whiting Asphalt Dock Replacement – 1400 wall foot dockwall with drilled rock anchors, king piles, sheeting, and compaction grouting; 300 N. LaSalle Street, Chicago – a 35’-50’ deep earth retention system immediately adjacent to the Chicago River; and the State Farm Center at University of Illinois, Urbana, IL – design/build, micropile underpinning, soil nails, and shotcrete, indoor driven soldier piles, lagging, and soil anchors. John was on the Board of Directors for ASA Chicago (Subcontractors Association 2003 – 2009) and was Member of the Year in 2005. He is a member of the Chicagoland AGC and the Deep Foundations Institute (DFI). John has been married for 27 years and has four children. He enjoys skiing, golfing, sailing, and grilling. Timothy F. Larson currently serves as President of Larson-Danielson Construction Co., Inc. which is headquartered in LaPorte, Indiana. Larson-Danielson Construction specializes in general contracting, design-build, and construction management services. 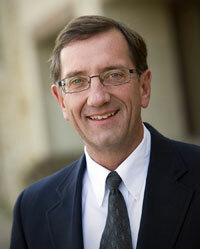 Tim has been with Larson-Danielson for over 30 years and has been president since 1996. Tim holds a B.S. in Civil Engineering from Purdue University, is a registered professional engineer in Indiana and California, and is certified as a LEED Green Associate. Prior to joining Larson-Danielson, Tim spent 5 years with Fluor Engineers and Constructors out of Irvine, California. Although he is well-versed in all areas of the construction, Tim’s expertise is in estimating and design-build project management & engineering. Tim has been involved in a multitude of projects in Northwest Indiana including the Task Force Tips manufacturing and office facility located in Valparaiso, the new Wal-Mart super store center in Hammond, and the North Coast Distributing Corporate Headquarters based in Valparaiso. Tim serves as President of the Board of Trustees for the LaPorte County Family YMCA, President of the Board of Directors for the Ruth Sabin Home, and is a member of the Kiwanis Club of LaPorte. He sits on the Indiana Toll Road Community Advisory Board for the Indiana Toll Road as well as the Advisory Board for Purdue North Central. 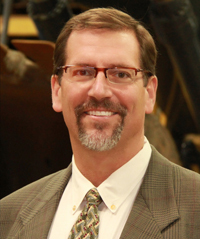 Gary M. Kebert serves as Manager of Proposals for BMWC Constructors, Inc. which operates out of Munster, Indiana. BMWC specializes in constructing new system installations and performing modifications to existing systems for the petrochemical, refining, pharmaceutical, chemical, biotechnology, power generation, semiconductor, food processing, metals, hospitals, healthcare and manufacturing industries. Gary has been working in the construction industry for over 50 years and has worked on numerous projects throughout the United States. He has been in his current role at BMWC since 2017. Gary holds an A.A.S in Mechanical Engineering from Purdue University – Calumet Campus. Mr. Kebert has recently worked on many renowned industrial projects in the Northwest Indiana and throughout the Midwest. Some of these projects include the Ameren Energy – Duck Creek Power Station project in Canton, Illinois, the Calumet Energy-Wisvet 2 Simple Cycle Gas Turbine Project in Chicago, Illinois, and the U.S. Steel Installation of 3 Mitsubishi Coilers and Liquid Propane Facility in Gary, Indiana. Gary is currently an active member of The Association of Union Constructors (TAUC) and has formerly held the positions of Director and National Labor Chairman. He is also a committee member and past chairman of the Industrial Committee for the Mechanical Contractors Association (MCA) of Chicago. Gary is a Past President of the Northwest Indiana Contractors Association (NWICA), sits on the Board of Directors for the Construction Advancement Foundation (CAF), and has two terms as the Foundation’s Past President. Gary has been committed to a drug-free workplace in the construction industry and has served on the Board of Directors of the BCRC since 2001 and is the current President of the Board.